This black mailbox, with a couple of tiny saguaro painted at one corner, didn't seem to have a house number on it. 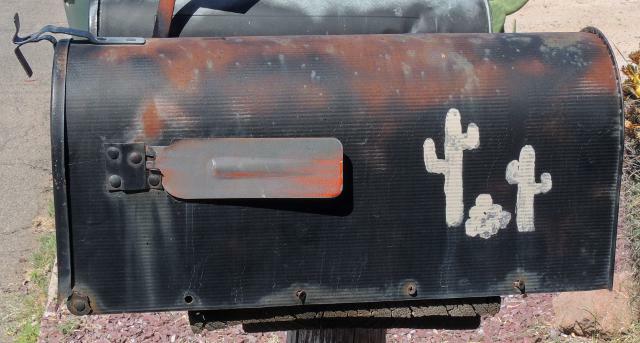 But it was in front of the duplex at 4135-4137 E. Hayne, so I'm guessing that it's for 4137. I took the photo on March 29th.